If you start development from iOS8, you don’t need to do this operation. If you develop application from iOS7 before, you need to do this. iPhone 6 plus is very special. 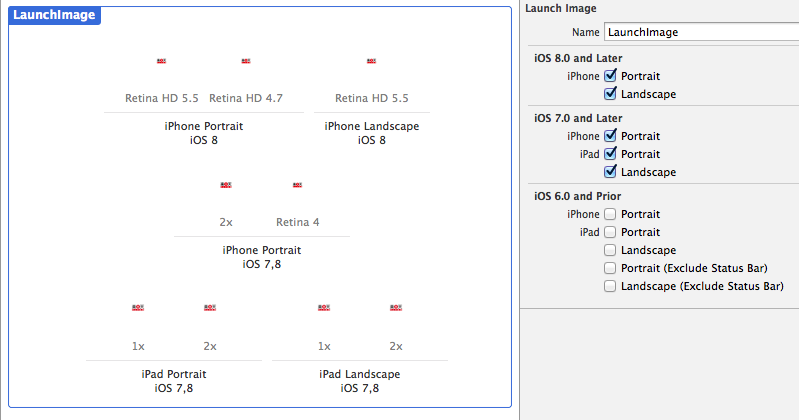 This impact is same when Retina was coming. 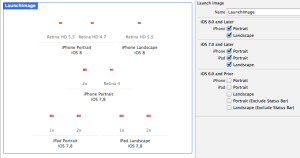 Scale parameter is 3, this is different from other Retina display products. If you don’t do anything, application images extend and it seems to be ugly. To solve this problem, we need to do some operations. No Xib, No Storyboard, you use only codes to create UI. In this case, Xib and Storyboard has optimization for any device size Screen size. But, in code case, we have to manage everything in codes. Even if so, our application LaunchImage is not code, isn’t it. To optimize iphone 6, we need to change some settings. Please point your project’s Images.xcassets. This manages all images including icon, LaunchImage, and any images in your application. Please drag and drop these images into assets.